Office hours vary. Please email at least 48 hours before. Dr Nelia Jurado Pontes received her PhD in Combustion and CCS Technologies in Cranfield University. 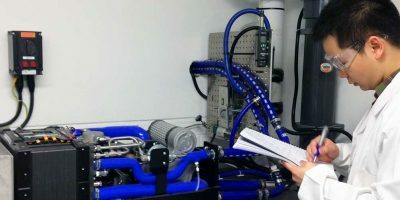 Then she was working as a Research Fellow in Energy Process Modelling developing simulation models for different types of processes related to power generation (i.e., gas turbines cycles, energy from waste via pyrolysis, CCS – oxy-combustion of solid fuels and post-combustion using membranes-, etc.). Her experimental background is related to design and operation of bench and pilot scale plants in the field of energy. She has been involved in projects focused on oxy-combustion of coal and biomass, post-combustion technology (chemical absorption), energy storage when using renewable energies (optimisation of integrated production of hydrogen and electricity on wind farms), or design and commissioning of a bench scale gasifier/combustor as part as the Nano Membrane Toilet project (Bill & Melinda Gates Foundation).